A career as a pharmacy technician is ideal for anyone who enjoys working with the public and wants to enter the fast-paced healthcare sector. The short-term pharmacy technician training lets students prepare for the career in just 2 to 10 months, depending on the credential issued at the conclusion of the program. 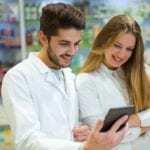 Graduates have the knowledge and competency to assume an entry-level position as an assistant to a licensed pharmacist where they would dispense prescription medication to customers. 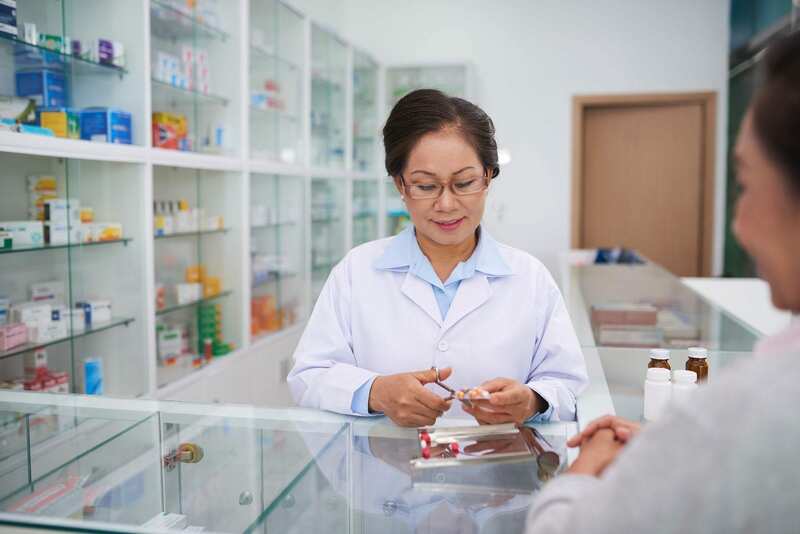 Pharmacy technicians must work under the direction of a pharmacist to fill prescriptions, mix preparations, organize inventory, and label prescriptions. In a community pharmacy, the technician may be assigned additional responsibilities, such as answering the phone, assisting customers, preparing insurance claims, and collecting payments. In hospitals and other institutional settings, technicians work in collaboration with other professionals to prepare IVs, stock dispensing machines and deliver medications to patients’ rooms. 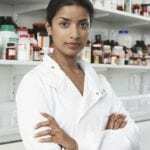 Certification through a national agency, such as the PTCB or NHA, demonstrates a pharmacy technician’s competency and commitment to the profession. Although Ohio State does not require certification, pharmacies may require it as a condition of employment. The Workforce Education Department at Owens Community College provides certification training to adult learners. The training equips students for employment in various areas of healthcare. The short-term, non-credit pharmacy technician program prepares students for national certification and employment as an assistant to a licensed pharmacist. Qualified instructors use knowledge-based and practical experiences to meet students’ training needs. The college offers customized training, flexible schedules, blended learning, convenient locations, and competitive pricing. The pharmacy technician curriculum comprises of 50contact hours of instruction. It covers pharmacy medical terminology, pharmacy calculations and measurements, pharmacy practice in multiple environments, reading and interpreting prescriptions, generic and brand name drugs, and the history of pharmacy. Hands-on lab work will cover I.V. flow rates, the top 200 drugs, dose conversions, sterile compounding, drug classification, aseptic technique, inventory control, billing and reimbursement, total parental nutrition, and dispensing of prescriptions. Class times vary but generally meet in the evening from 6:00 pm to 9:30 pm two days per week. Tuition costs $1,199. From day one, students enrolled in the pharmacy technician program at Professional Skills Institute are exposed to the facilities, instruments, and equipment found at work. The 48-week program combines intensive classroom instruction with a pharmacy externship in an actual pharmacy setting. The curriculum covers 1010 clock hours (81 credit hours): 850 lectures hours in the classroom and lab and 160 hours of pharmacy externship. Areas of study include medical law and ethics, keyboarding, medical terminology, fundamentals of psychology, medical office procedures, office communications, job readiness, pharmacology, introduction of PhT, PhT clinical, and externship. At the conclusion of the four, 12-week quarters, students will earn a diploma and will be eligible to take the ExCPT or PTCE. Interested persons are encouraged to visit the campus and set up a personal interview. Tuition for the program is $14,080. Books and supplies cost an additional $1,411. Ross College provides pharmacy technician students with the instruction and skills to assume an entry-level position in a pharmacy setting. The curriculum covers 900 clock hours or 66.5-quarter credits. Students acquire a sufficient knowledge base in medical terminology, routes of administration, trade and generic names of drugs, symbols used in prescribing, dispensing and documenting medications, how to procure drugs and manage inventory, computer and pharmacy software, and a working knowledge of aseptic techniques, compounding procedures, parenteral admixtures, and microbiology. Students must complete at least 302.5 clock hours of outside classroom work. The pharmacy externship comprising of 180 hours in a retail or institutional setting will give students an opportunity to apply classroom principles in a real-world setting. Applicants must be 18 years or older and have completed high school or a recognized equivalent. Each applicant must complete the Wonderlic Scholastic Level Exam with a score of 15. Upon conditional acceptance, students must complete a background check. Tuition for the program is $14,600. Penta Career Center offers an online pharmacy technician program that prepares students for success on the PTCB. Instruction is delivered in a flexible online format, which is convenient for working professionals. Key areas of study include pharmacy calculations, medical terminology, review of the top 200 drugs, reading and interpreting prescriptions, dispensing prescriptions, inventory control, dosage calculations, IV flow rates, drug compounding, and billing and reimbursements. Applicants must have a high school diploma or GED and be 18 years or older. Tuition for the program is $1,299.